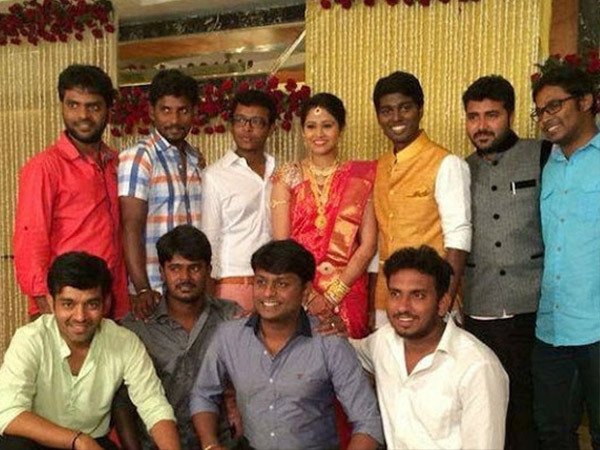 Director Atlee engaged to TV actress Priya! Home » Atlee | Marriage » Director Atlee engaged to TV actress Priya! Director Atlee of Raja Rani fame is now engaged to Priya. The director got hitched yesterday at a ceremony held at a five-star hotel in the city. Priya, a popular television personality, is also an actress, who is known for her role in Singam. We hear it is a love marriage, which has now been arranged by both the families. Atlee has also been nominated for the SIIMA awards, which is set to take place on 12th and 13th of September. The young director is yet to announce his second Tamil project. There was a buzz that he will be working with Ilayathalapathay Vijay for a new film. However, there is no official confirmation in this regard.